If you’re planning a trip to the Universal Studios theme parks anytime soon, you’re going to want to take your digital camera along, capturing some potential once-in-a-lifetime moments. But the problem then becomes how do you carry the camera in the park? Do you want to carry a bulky camera and bag all day at the theme parks? Can you even take a camera bag into Universal Studios? Or do you want a thin camera that easily slides in a pocket? And what rules exist concerning usage of cameras at the Universal Studios theme parks? 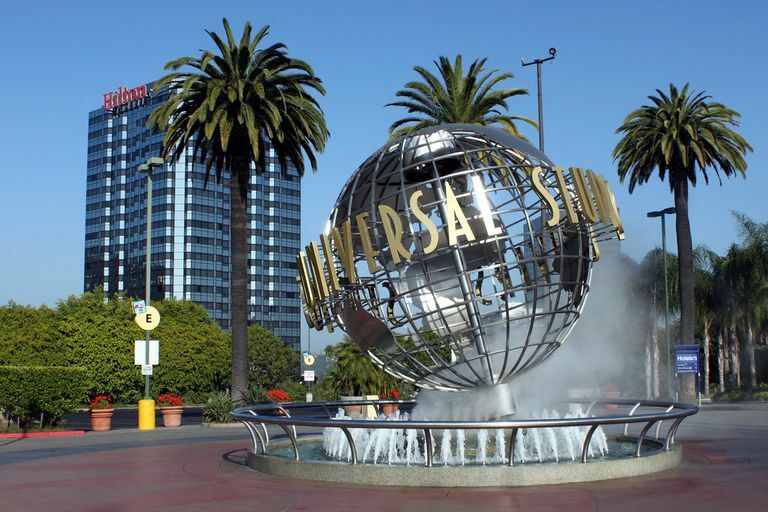 Continue reading to find some tips on taking a trip to Universal Studios with your camera! There are no restrictions on using your camera throughout the Universal Studios theme parks when walking between attractions and rides. There are some fun photo opportunities outside the buildings, such as in the recreation of Springfield from The Simpsons inside the theme park. Use of cameras for video and photography are not allowed on many of the rides themselves, though, so be sure to read the rules printed outside the ride’s entrance. Carrying a large amount of equipment through Universal Studios, such as a full DSLR camera bag with plenty of lenses, flash units, and a full-sized tripod is allowed, but don’t expect to be able to do much else but shoot photos. Unlike at Disney World, bags of any size are not allowed on most rides at the Universal Studios theme parks. Not to mention you’ll be doing a lot of walking around the park or standing in line, making a heavy camera bag an uncomfortable hindrance, especially on a hot day. If all you want to do on that day is shoot photos rather than partake in rides, a large camera bag is an option. Otherwise, keep your gear to a minimum. Also, bags will be searched at the entrance. At Universal Studios, many rides are fast with sudden tilts and twists. Consequently, bags of any type, including camera bags, are not allowed on most rides at Universal Studios. For these rough rides, the park operators provide free lockers near the ride’s entrance for the time you’re waiting in line for the ride, and you’re expected to use them or leave your bag with a non-riding member of your group. Ride operators will stop you if you try to carry a bag into the line for the ride. If you leave the bag in the free locker well beyond the normal ride wait time, you will be charged a fee when you retrieve the bag. Consider carrying the camera bag for only part of the day, using the all-day lockers that are available for rent near the entrances. If you want to just shoot simple photos to share on social network sites, a thin point and shoot camera or even a smartphone camera that you can slip into a pocket will be good enough for most photographic options at Universal Studios. Characters are available for meet and greet photographs at various points throughout the two theme parks, so this will be a common use for your camera. If your kids love superheroes, Marvel Super Hero Island at the Orlando location is a good place for these types of photos. If you'd like to shoot some images designed for large prints, you may want to bring a DSLR camera, but you may struggle to use a large camera in the large crowds in certain portions of the parks. If you’re carrying the large camera, just expect to have to store it in a locker for large portions of the day if you’ll be participating in rides.